Home Staging & Design - What is Home Staging ? What is Home Staging ? ​“Home staging” is not a new term, but for many homeowners and real estate agents the concept of “professional home staging” is shedding new light on how to promote a home in the real estate marketplace. In past years, homeowners were left to their own discretion as far as preparing for home showings. Though they could occasionally rely on an agent for instructions, more often than not real estate agents were just as perplexed at working out the details as the homeowner. While agents are experts in the field of selling and closing, many are not design savvy. Agents usually know exactly what factors can help sell a home. It’s just not always easy to get a home into selling condition in a timely manner without some sort of experienced assistance. 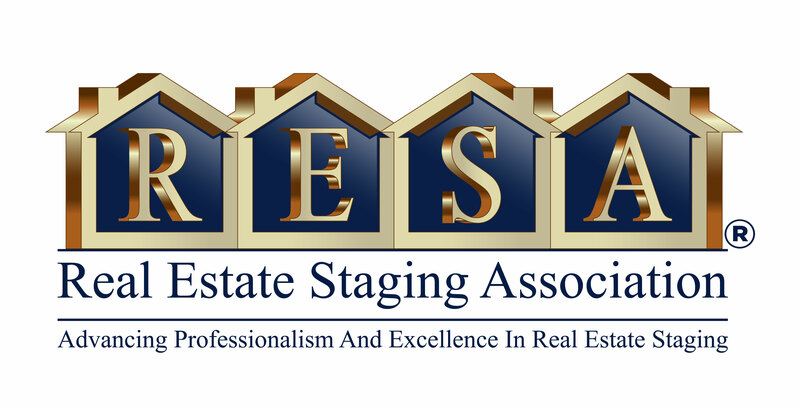 Professional home stagers are practiced in the art of preparing a home for resale. They work with the “flow” of a home, eliminate clutter, edit and arrange furniture, and even assist in enhancing curb-appeal. With the aid of a professional home stager, your house can make a notable first impression on potential homebuyers. As the real estate industry often stresses, the first impression is the key factor in selling your home. Typically a potential buyer has made up their mind ten seconds after they step in the front door. They were already forming an opinion as they pulled into your driveway! That really doesn’t leave too much room for fault. To achieve the greatest possible outcome, the home truly needs to be presented in the best possible manner, the second it hits the market! Contact us today, and we will help you get your home show ready!! ​Is home staging effective???? Let the statistics do the talking! 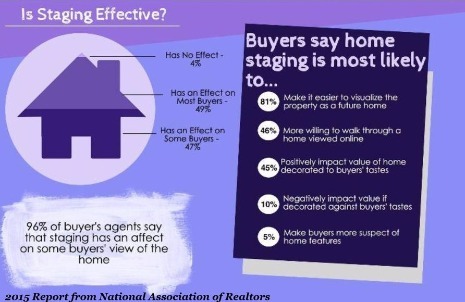 96% of buyer's agents say that staging has an affect on buyers view of the home. 81% of home buyers say staging makes it easier to visualize the property as a future home. Will staging bring in higher offers? 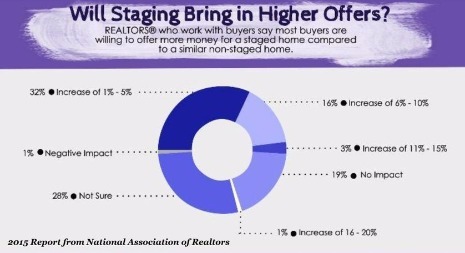 Realtors who work with buyers say MOST buyers are willing to offer more money for a staged home compared to a similar non-staged home.